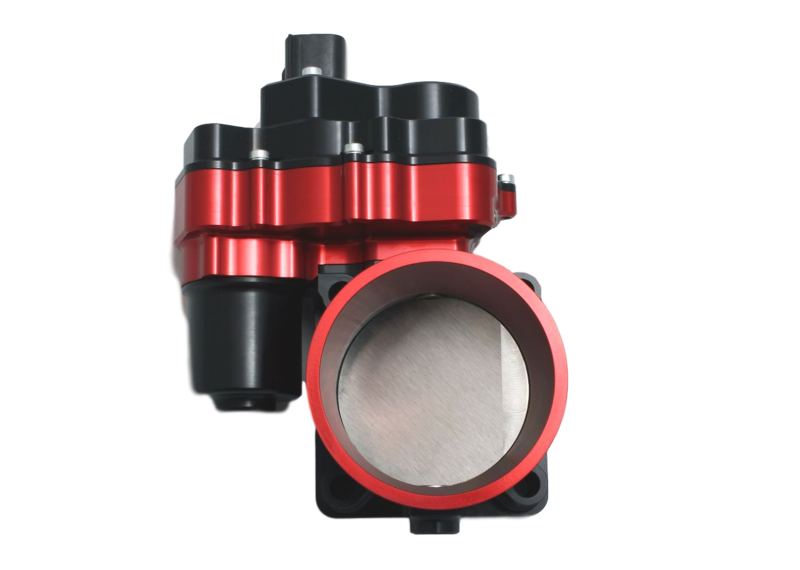 AT Power Electronic Drive-By-Wire (DBW) throttles are a high performance single throttle body controlled by an electronic motor rather than the traditional cable, designed for use with an aftermarket ECU. They are suitable for many applications and offer high performance operating parameters, within a durable billet aluminium housing. With an in-built failsafe spring return, an operational speed of 0.07s per 60° movement, and a rise and fall output Hall-Effect TPS (0-5v) these DBW throttles are market leaders in terms of operation and performance. Utilising a standard Molex MX150-L electrical connector, and provided with the mating connector for installation into your loom.Fully assembled and ready to bolt straight to the engine. The throttle body is factory balanced and calibrated to a set idle condition.